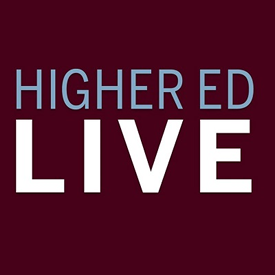 As one of the co-hosts of the biweekly web show “Admissions Live,” part of the Higher Ed Live network, I’m always looking for engaging guests and hot topics. Got some ideas? Want to be on the show? Want to sponsor the show? Let me know! Please help me convince my Enrollment Management Team that advertising via social media can help us reach our target audience for recruitment purposes. Do you have a power point or some type of video to share so that I can prove to them that it really works?